LA Rams Head Coach Sean McVay and Defensive Coordinator Wade Phillips discuss the upcoming NFC Championship game against the Saints. 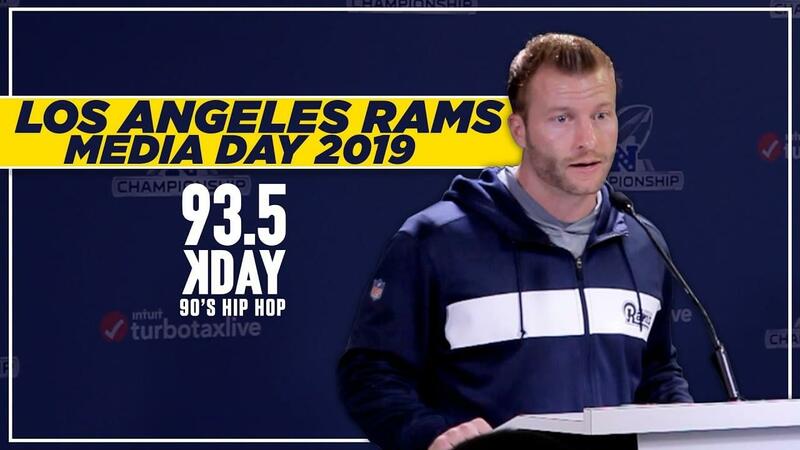 Noah Ayala from 935 KDAY hit up the Rams Media Day where the new Los Angeles team prepared for the big game this Sunday. Sean McVay and Wade Phillips speak with several media outlets about what the teammates are expecting and they also touch on their strategy heading into the NFC Championship in hopes of securing a spot in this year’s Super Bowl, as well as break down the success of this past season.